optimized for proaudio, video and lightning network applications. fixing disk, chuck, bush and boot. The chassis connectors are shaped to fit into standardized panels out of the entertainment industry. for panel mount and the installer market. according to TIA/EIA and ISO/IEC 1801 standards. 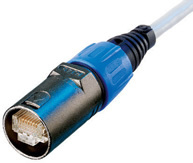 RJ45 feedthrough receptacle, D-shape metal flange with latch lock. 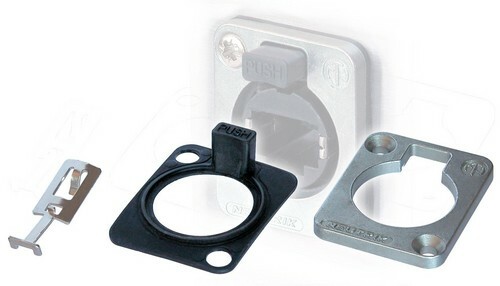 RJ45 feedthrough receptacle, D-shape Black metal flange with latch lock. 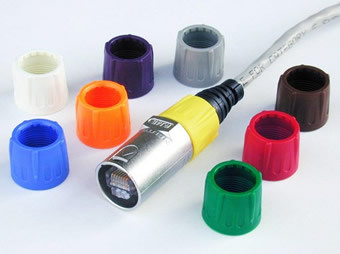 Assembly kit for D-series EtherCon® connectors to achieve a waterproof IP54 connection.